Dickson Home Hardware Knows the Key to Success! A few weeks ago I headed out to one of the big box stores in my area as I needed to cut about a dozen keys. As one does in many large stores, I found myself wandering up and down the aisles in search of the key section. Once I found the area, I waited for a good five minutes, for an employee to come to help me. Since nobody came over, I continued my search up and down the aisles, looking for someone who worked there, who could cut the keys for me. Once I finally found an employee and returned to the key section, they told me they didn’t have the specific key I needed in stock but offered me a more expensive, fancier key with a logo on it. I’d hoped that, to earn my business, the employee would have offered to give me the more expensive key at the cheaper one’s cost, but they didn’t. Since I wanted to keep the cost of the keys as low as possible, I left the store, but experienced similar challenges at another store in the same area. Suddenly it occurred to me that I should head to a small hardware store that had never disappointed me in the past, so without hesitation, I made my way to Dickson Home Hardware on Avenue Road. I had been to the store many times before and it amazed me as they always seemed to have what I needed even though the shop is a fraction of the size of a big box store. I really don’t know how they do it! As soon as I walked through the doors a friendly employee was there to help me and, lo and behold, the keys I needed were in stock and less expensive than what I was planning on paying at the other larger stores! The employees were polite, knowledgeable and friendly, and they quickly cut my keys and sent me on my way. As I was leaving I remembered I needed some topsoil and, to no surprise, Dickson’s had lots in stock at the same price as most other places I would have purchased it from. I bought the topsoil and without me even having to ask they offered to put it in the trunk of my car. In fact, one of the other great things about this small store is that they work on an honour system. They trusted that when I said I’d purchased five bags of soil that I was telling the truth and simply loaded them into my car, without checking inside or asking for a receipt. 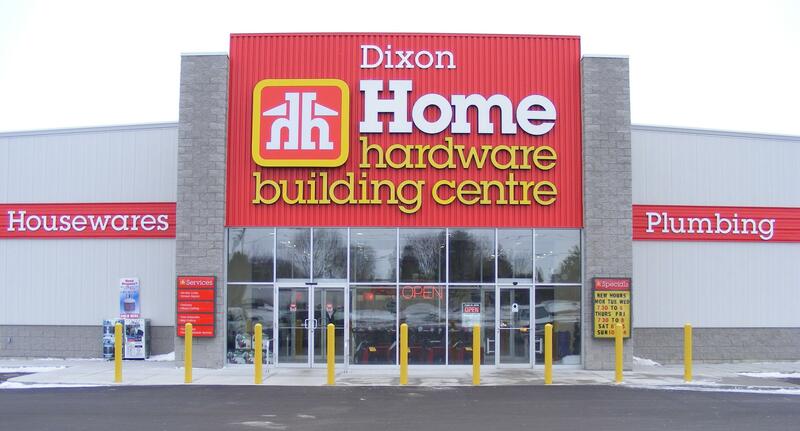 Dickson Home Hardware is a great store that stocks everything the big guys have at the same, or sometimes cheaper prices. In addition to the fabulous staff, the store’s owner, Tony Dickson, is often there to chat with the customers and help out whenever needed. My takeaway from my experiences at Dickson’s is that sometimes you should consider supporting your local retailer. Even though they’re small, they’re just as good as the big guys. Dickson Home Hardware has never let me down. They have taken good care of me over the years and whether you’re looking for BBQ’s (they have a separate store that specializes in this area) or for something from the hardware store, I highly recommend them.